Spring & Fall Litters Just Announced!!! ​Update: Wait list closed. Accepting applications for our back up list. Update: wait list closed. Accepting applications for our back up list. ​See upcoming litters for details. ​Submit an application. Hello and Welcome to Leapfrog! 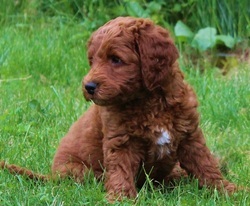 We are a small, in-home breeder of Multigenerational Australian Labradoodles. Originally bred in Australia for therapy and service work, these clever, kind, and endearing dogs have taken the world by storm. 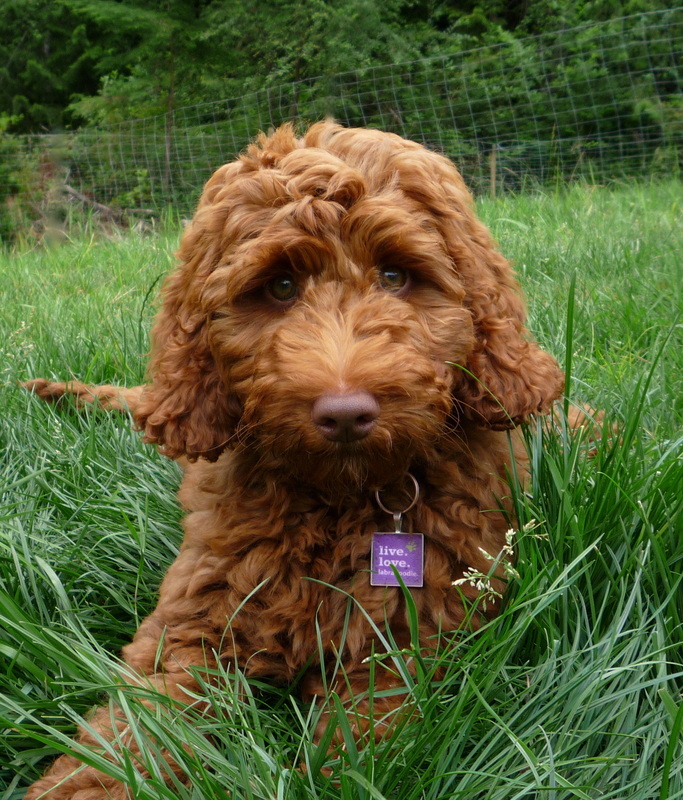 Known primarily for their sweet disposition, Multigenerational Australian Labradoodles have the added benefit of a non-shedding, allergy and asthma friendly coat. Increasingly sought-after for therapy and service work, Multigenerational Australian Labradoodles make excellent family companions. and service dog lines available to families and canine assistance organizations across North America. 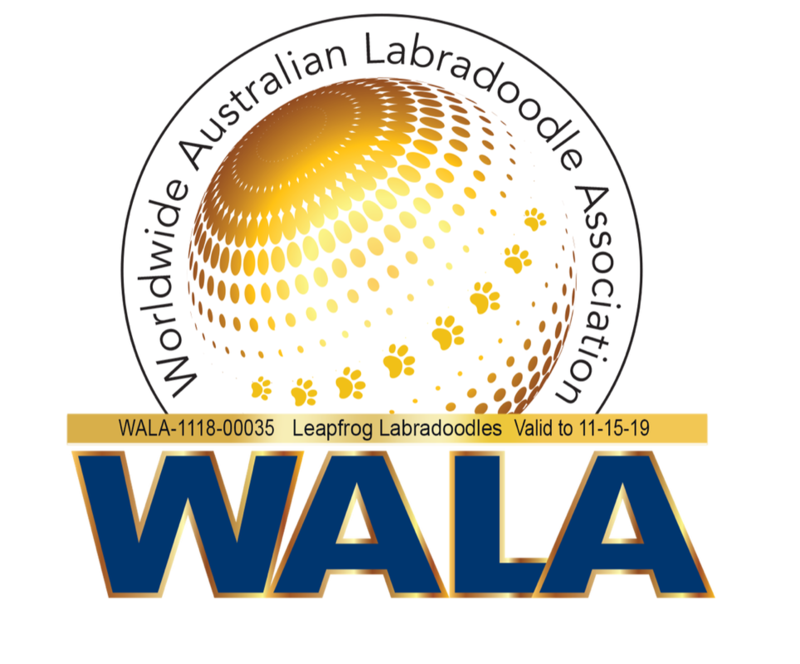 We are proud to be Worldwide Australian Labradoodle Association (WALA) members and members of the Goldendoodle and Labradoodle Premium Breeders List. We abide by the Codes of Ethics set out by these organizations and we surpass their requirements for health testing. ​We also abide by and surpass the guidelines set out in the proposed BC Standards of Care for Breeders of Companion Animals Act. Puppies go home spayed or neutered, microchipped, and with all age appropriate veterinary care and vaccinations. They come with a 3 year health guarantee, a 5 generation pedigree, and a lifetime of support from Leapfrog! Leapfrog is located on 2 park-like acres on the Sunshine Coast of British Columbia, Canada. 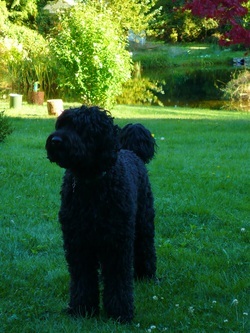 Our dogs live in our home and have free access to our acreage. We are not a kennel. Our program is intentionally small and focused on producing genetically sound medium sized therapy and service dog quality pups. We whelp a small number of carefully planned litters per year. All of our dogs have non-shedding, allergy and asthma-friendly fleece coats. 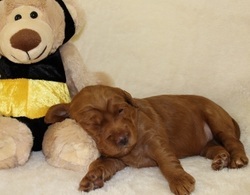 Our puppies are raised in our home where they are exposed to a wide range of experiences. We begin socialization early and interact with the puppies continually for their first 9 weeks. 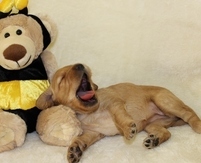 By the time your puppy arrives in your home it will have started potty training, crate training, bite inhibition, and walking on leash. Leapfrog's motto is: Happy Dogs. Happy People. To learn how we are making a positive difference in the lives of dogs and kids, go to why leapfrog? Please take a look around our site and contact us if you have any questions at all. We look forward to hearing from you! 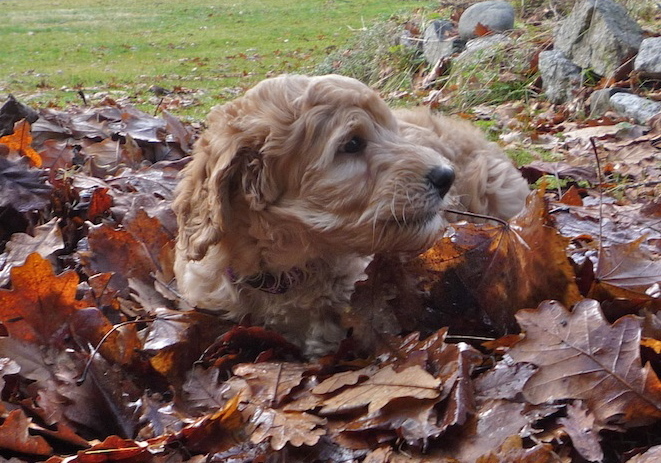 entrusting Leapfrog Labradoodles to raise your puppy! stay in touch and watch our puppies grow! Please LIKE US on Facebook to hear our latest news!